Thoracic spinal stenosis occurs when the spine at the middle of the back has become narrowed. It’s a degenerative spinal condition that affects any of the 12 thoracic vertebrae (T1 – T12). Thoracic spinal stenosis is less common than both cervical spinal stenosis and lumbar spinal stenosis and can still lead to pain and movement issues. In this article, we’ll look at the thoracic spinal stenosis symptoms and treatments. If you are dealing with thoracic spinal stenosis, hopefully, this will be a good basic guide to the issues that come with this condition. Thoracic spinal stenosis symptoms are the result of the positioning of the spinal area that’s being affected. The thoracic vertebrae are located in the middle of the back and connect to the ribs. So, the symptoms of this condition tend to affect the middle of the body and below. Thoracic spinal stenosis can cause weird sensations to occur in your chest, legs, feet, and occasionally your arms and hands. The sensation usually feels like a tingling or “pins and needles.” Occasional feelings of numbness in the hands, feet, and chest are also not uncommon. The location of the sensation usually depends on where the stenosis is occurring. For example, if the stenosis is in the lower area of the thoracic vertebra, the tingling sensation might occur in the legs or waist area. Pain is often a symptom of thoracic spinal stenosis. It can range from a dull ache to a burning sensation. The pain tends to stay in a certain area as opposed to radiating or traveling in the body. Common pains are often in the back, upper thighs, and calves. Spinal stenosis can often cause the muscles to become weak, particularly in the legs. This can result in weak or stiff legs and can cause issues with walking and movement in general. Treatment of thoracic spinal stenosis will depend on the severity of the condition. It may be as simple as getting some rest and a little bit of physical rehabilitation. Or, in more severe cases, surgery might be the only option. In the least severe of cases, you may just need some simple rest. Being off your feet and stuck in bed can relieve some the compression on your spine. Once the spine heals, you should be back on your feet. You may notice that sitting in certain positions relieves the pain and strain of thoracic spinal stenosis. Unfortunately, that’s hard to keep up all the time. For this kind of severity, a back brace may be used to help get the spine into the right spot and relieve you of symptoms. Your doctor will monitor your condition if you are using a back brace, as it may promote atrophy in other back muscles that you don’t use as a result of wearing the brace. The chiropractor may use a technique called Cox Technic flexion-distraction and decompression. This technique may be able to manipulate your spine to widen the canal space, reduce the intradiscal pressure, and increase the disc height within the spine that is causing pain and other symptoms. Surgery is usually recommended if other options have failed or if the stenosis is severe enough to warrant it. Thoracic spinal stenosis surgery involves relieving pressure on your spinal cord. It may require repairing or removing the cause of the pressure, like in the case of a bone spur or a herniated disc. These surgeries are usually used as a last resort as there are serious complications associated with them. Whenever we hear about spinal damage or disease, our minds instantly flash to someone in a wheel chair. 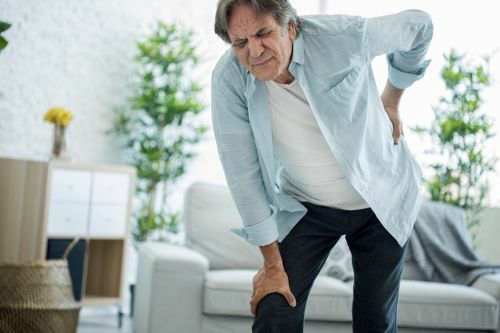 Some of the symptoms of thoracic spinal stenosis can include tingling and numbness, and it can sound scary when first diagnosed. Luckily, there is treatment, and if you follow your doctor’s orders, you will be back on your feet in no time. Perry, M., “Thoracic Spinal Stenosis,” Laser Spine Institute; https://www.laserspineinstitute.com/back_problems/spinal_stenosis/thoracic/, last accessed August 3, 2017. Cloe, A., “Symptoms of Thoracic Spinal Stenosis,” Livestrong, June 24, 2015; http://www.livestrong.com/article/153592-symptoms-of-thoracic-spinal-stenosis/, last accessed August 3, 2017. Chang, U.K. et al., “Surgical treatment for thoracic spinal stenosis.,” Spinal Cord, July 2001; 39(7): 362-369. DOI: 10.1038/sj.sc.3101174, last accessed August 3, 2017. “About Fort Wayne Chiropractic and Fort Wayne Thoracic Spine Stenosis,” Aaron Chiropractic; http://www.aaronchiro.com/doctor/chiropractor/chiropractic-Fort-Wayne/id-your-pain/thoracic-spine-stenosis, last accessed August 3, 2017. Mathews, L., “Thoracic Spinal Stenosis – Breathing Difficulties and Other Symptoms,” Spinal Stenosis, August 29, 2012; http://www.stenosisspinal.org/blog/thoracic-spinal-stenosis-breathing-difficulties-symptoms/, last accessed August 3, 2012.